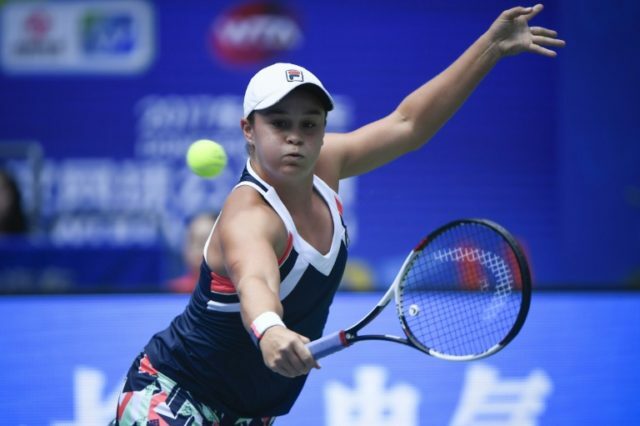 Wuhan (China) (AFP) – Australia’s Ashleigh Barty pulled off a major upset against former world number one Karolina Pliskova in the quarter-finals of the Wuhan Open on Thursday, downing the number three seed 4-6, 7-6 (7/3), 7-6 (7/2). “I played a really good match and I’m just happy to come through at the end,” she said. After Pliskova’s exit, there are now just three seeds remaining in the competition. The Czech, who is the world number four but who spent eight weeks at number one this year, had looked strong in the earlier rounds as she breezed past China’s Zhang Shuai and Wang Qiang. Barty will face either world number one Garbine Muguruza or Jelena Ostapenko, seeded eight, in the semifinals.